The North of Neuquen: an area to discover - Chos Malal, Patagonia, Argentina. This area of ​​about 16,000 square kilometers has a rugged and largely uninhabited landscape, which, however, is dotted with streams, brooks and thaw rivers. 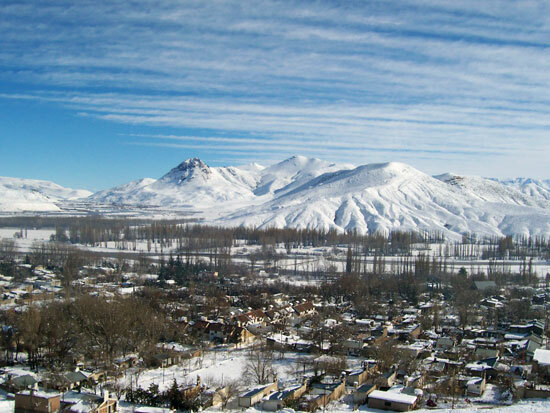 Occupied by the Andes transition that outlined exquisite valleys, it is an area that hides points of ​​great beauty. Invariably covered with snow all winter, in spring melt water painted green the whole area, with creeks and streams in large numbers. Its clear, cold and well oxygenated waters form an ideal habitat for the fish fauna. Thus, fishing can be done in any course or water body. The region is noted for the beauty of the environment that give Nahueúe and Trocomán rivers and Epulafquen and Vaca Lafquen lagoons. The latter is also the spot where the Neuquén river begins. The North Neuquino offers great tourism infrastructure, which is offset by the peace, tranquility and beauty of the natural unpolluted environment, as well as by the great kindness of its people. Visitors can make camping, hiking, fishing, mountain biking, or simply relax and admire the scenery. The town of Chos Malal is the most developed tourism infrastructure, followed by Andacollo and Huinganco. More modest are still Tricao Malal, Las Ovejas, El Cholar, Barrancas, Varvarco and to the south you can visit El Huecú. Domuyo: conquering the top of Patagonia 1The Domuyo volcano is the highest mountain in Patagonia. Reaching the summit takes six full days of adventure. Cerro Wayle, an ideal resort for beginners Cerro Wayle is located 48 km from Chos Malal. The hill has excellent slopes and all amenities to enjoy winter activities. Nacional Chivito Festival 2The National Chivito, Dance and Song Festival is held every year in Chos Malal. There visitors can taste typical meals of Patagonia, and also enjoy the gauchos's parade, rodeo skills, jineteadas. Gliding in a Mountain Wave In November Chos Malal receives important visitors from many countries as they participate in the "Meeting of Gliding in Mountain Wave."